ICBA is part of a coalition of B.C. groups coming together to support LNG in B.C. VANCOUVER, Jan. 23, 2019 /CNW/ – LNG development in B.C. is the key to a bright future for our province. It offers economic and social benefits to First Nations, increased government revenues to pay for health care, education and other services and thousands of well-paying jobs for British Columbians. That’s why a coalition of workers, First Nations, students, educators, businesses and others are launching a campaign to demonstrate to the public and elected representatives that there’s a broad base of support for LNG projects amongst the citizens of B.C. The Together For LNG Campaign will (T4LNG Campaign) will give a voice to the tens of thousands of British Columbians who know that LNG enjoys unprecedented levels of support from First Nations, businesses, rural communities and others who want B.C. to continue to lead Canada in developing LNG, thanks to recent decisions to advance projects like LNG Canada towards completion. “Blueberry River First Nation is a small community that plays a big role in LNG,” says Judy Desjarlais, President of Topnotch Oilfield Contracting and a member of the Blueberry River First Nation in northeast B.C. B.C. has the opportunity to help the world transition to a greener future, create prosperity at home and greatly reduce our global carbon footprint moving forward. Squandering that opportunity means lost jobs, lost revenues to get us to green and yielding the field to other, less scrupulous producers. Paul de Jong, President of the Progressive Contractors Association of Canada, adds: “The liquid natural gas (LNG) that Canada has in such large supply is a key factor in world wide demand for clean energy. “Strategic development of a strong LNG sector also provides for tens of thousands of construction, maintenance and operations jobs for Canadians, and provides robust contributions to provincial and national GDP. LNG in Canada is the perfect venue for industry and government to work together to achieve great outcomes,” de Jong says. The T4LNG Campaign will provide a positive, hopeful counter-narrative to the opponents of LNG development, who rely on a network of internationally financed organizations to use selective data and half-truths to divide British Columbians on this crucial issue. T4LNG believes that by working together, the public can let our elected leaders know there’s a broad base of support for LNG development. The campaign will build a community of interest to change the narrative around LNG. And unlike the opponents, they don’t need to shout. Their quiet, collective voices speaking their truths will drown out the negative noise that threatens to derail a greener future through LNG development. BURNABY – Today’s announcement that the federal government will purchase the Trans Mountain pipeline expansion project will save the vital pipeline and thousands of jobs that come with it, but it highlights how damaging the actions of Premier John Horgan and the B.C. NDP Government have been to Canada, said the Independent Contractors and Businesses Association (ICBA) today. ICBA has long supported the Trans Mountain project and the 15,000 construction jobs it will create. ICBA’s #Get2Yes campaign in the past five weeks generated nearly 4,000 emails of support for the pipeline and has strongly supported the #ConfidenceInCanada coalition. Today’s decision reinforces the difficulty private companies are having in navigating Canada’s exceedingly complex regulatory processes and professional protestors. 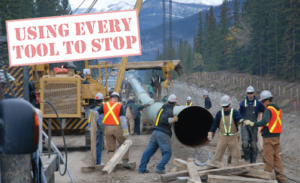 Prime Minister Justin Trudeau must act immediately to get the Trans Mountain Pipeline Expansion project built, a project that was approved 18 months ago, says the Independent Contractors and Businesses Association (ICBA). ICBA is floored by today’s news that Kinder Morgan is close to pulling the plug on this vital national project because of the interference of the B.C. Government. Trans Mountain pipeline was approved two years ago after a 29-month long process and had 194 environmental and legal conditions attached that Kinder Morgan has to meet during the construction and operation of the pipeline. But the deliberate and unfair interference of the B.C. NDP and Burnaby city governments saw the province and city hall actively engage in activities designed to deliberately terminate the project. The energy sector in Canada directly employs over 425,000 men and women and is the single largest source of private sector investment in the country. Yet the companies like Kinder Morgan, which are investing, or planning to invest, billions of dollars in our economy are vilified at nearly every turn. 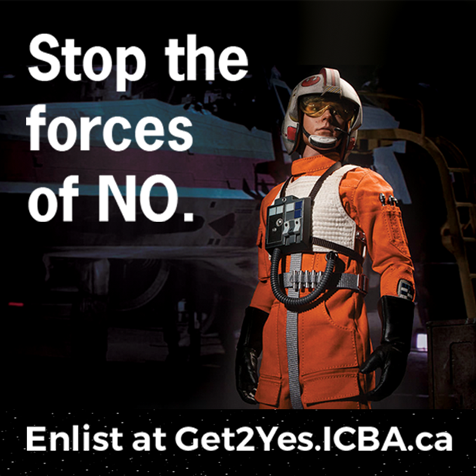 ICBA has been a strong supporter of the Trans Mountain pipeline expansion project through its #Get2Yes platform. 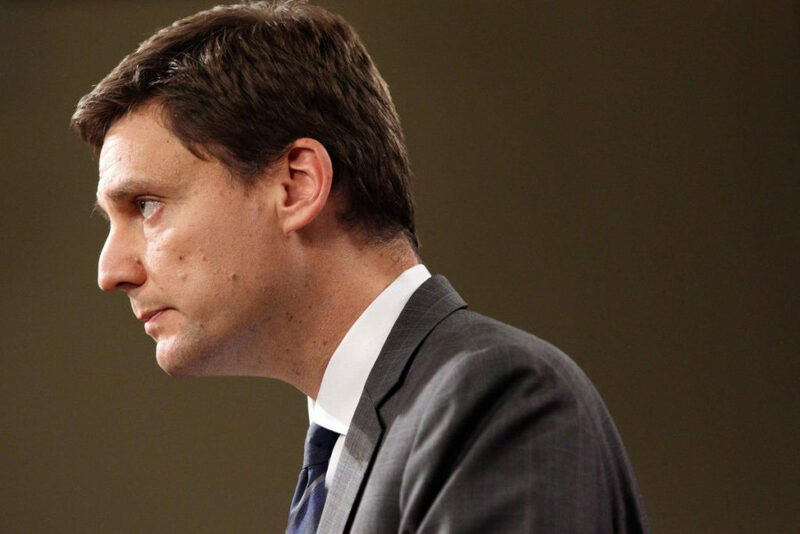 It is concerned that everyday British Columbians – including the nearly 50,000 who work with ICBA-affiliated companies – will be hurt by this decision.